Toyota Motor Corp (ADR) (NYSE:TM) says that it is suspending its self-driving car tests following the Uber death earlier this week. According to a Toyota spokesperson, the company is telling its drivers for the self-driving vehicles to “take a couple of days off” while it looks over the situation. These drivers ride along with vehicles to take control if the need arises. The change means that Toyota’s self-driving cars won’t be on public roads in Ann Arbor, Mich., or San Francisco. However, it will continue to test them in private areas. It has two of these areas in Ann Arbor and one at an old naval weapons facility in California. While Toyota is suspending its self-driving car tests following the Uber death, other automakers aren’t doing the same. General Motors Company (NYSE:GM) and Ford Motor Company (NYSE:F) are still pushing ahead with self-driving car tests on public roads, reports The New York Times. The incident with Uber took place at around 10:00 p.m. on Sunday night. It saw 49-year-old Arizona resident Elaine Herzber struck and killed by one of the companies self-driving cars. The accident isn’t likely Uber’s fault, as the woman stepped out in front of the car and was jaywalking at the time. Even if an investigation finds that Uber isn’t at fault for the accident, it still puts stress on the self-driving car industry. Many companies want to have self-driving cars ready for customers in the next few years. However, its possible accidents like this could set those plans back some. 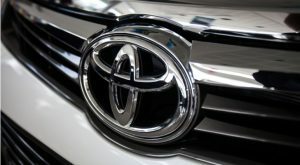 Article printed from InvestorPlace Media, https://investorplace.com/2018/03/toyota-suspends-self-driving-car-tests/.